Safetech’s TriLatch is today’s ultimate solution to prevent small children from opening pool gates to access a swimming pool. Your customers will be quickly convinced. That’s because it is easy to demonstrate the triple protection offered by this industry-unique solution to avoid the tragedy of drowning in a fenced but unsupervised swimming area. A drowning death at swimming pools takes only minutes to occur, which is why so many cities, municipalities and townships have strict laws on limiting access to swimming pools. 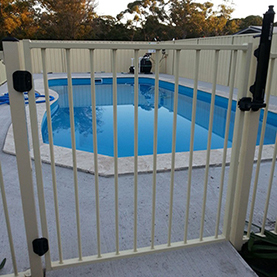 To protect your family and yourself from liability, installing a pool safety fence or gate is a must; however, any pool fence or pool gate is only as secure as the pool gate lock used to secure it. Among the many choices of gate latches available on the market, the Safetech SL-50 Pool Gate Latch is truly the best gate latch. Safetech Hardware understands that in today’s economy, there are financial implications in ensuring that your pool area meetings the safety requirements. 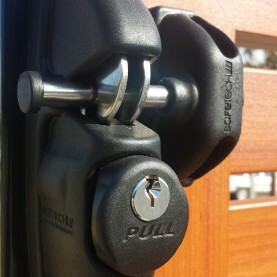 In order to provide the industry with a cost effective option to our ever growing range, the Keyless Safety Pool Gate Latch has been designed. It simplifies entry to the swimming pool for adults while maintaining a high level of safety for children. By taking out the locking system we were able to offer an affordable solution to our customers and meet all safety regulations for swimming pools. 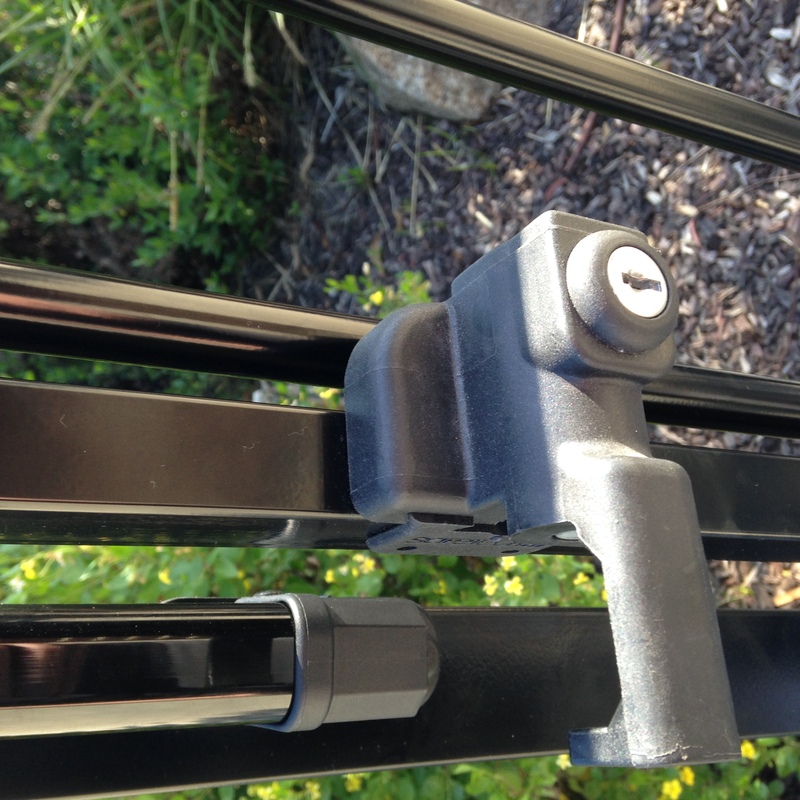 As a fence and gate contractor you know that a great feature of gravity gate latches is that they reliably latch when the gate is closed, keeping people and pets in or out as the situation warrants. But until now a weakness of gravity latches is the chance of hooks jamming before they engage the latching bar.